Stock4pets.com is a new and growing website that offers discounts on pet items for shoppers and donations for CCHS. 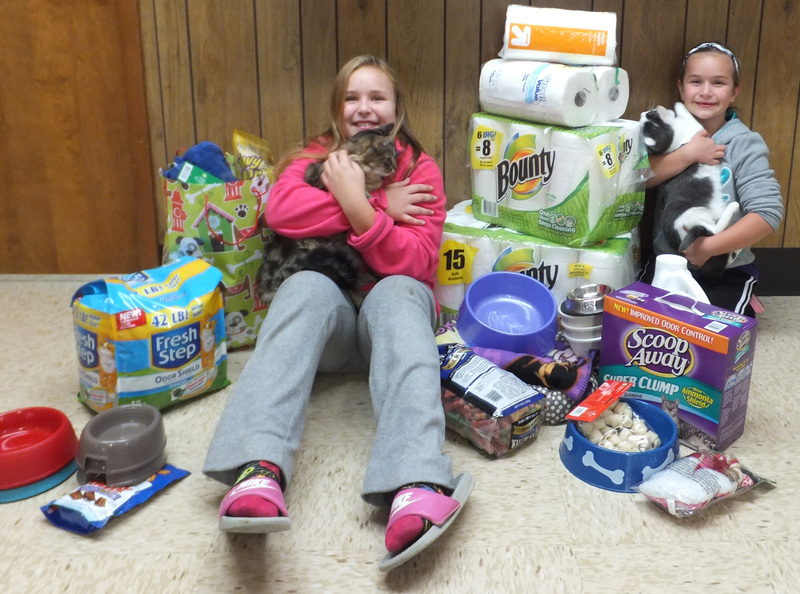 Avery Budde with Pippy (left) and her sister Makenna with Pooter (right) are surrounded by toys, pet dishes, treats and supplies Avery collected for the CCHS instead of gifts for her birthday. Thanks to Avery and her friends for their generosity! CCHS has wonderful pets available including cat Amelia, gray/wt; and kittens Pooter and Mosley, gray/wt; Jordan and Sam, orange/white; Mura, Calico/wt. Most of the cats reside at the CCHS building at 1301 Apple Lane where folks can visit them daily from 10 a.m. until 2 p.m. and weekdays from 5:30 p.m. until 7:30 p.m. Available dogs include Muff, Yorkie/Terrier; Charley, Black Lab; Harley, Black Lab mix; Frank, Australian Shepherd mix; Chato, Rottweiler; Willow and puppies Aspen, Ash-Lee, Birch, Oak-Lee, Cypress, Staffie mixes. Dogs are fostered with families and can be visited by appointment or at the next Meet and Greet Saturday, Nov 2, from 10 a.m. until noon. All CCHS pets are vet checked, up-to-date on shots, spayed/neutered and micro-chipped. If you are interested in adopting a CCHS pet, fill out an application online at http://www.ccilhs.org or pick one up at the building. You can call 526-4500 or email ccilhs@ccilhs.org or ccilhs@gmail.com for information or an appointment. You can check out our pets on www.petfinder.com or www.adoptapet.com. 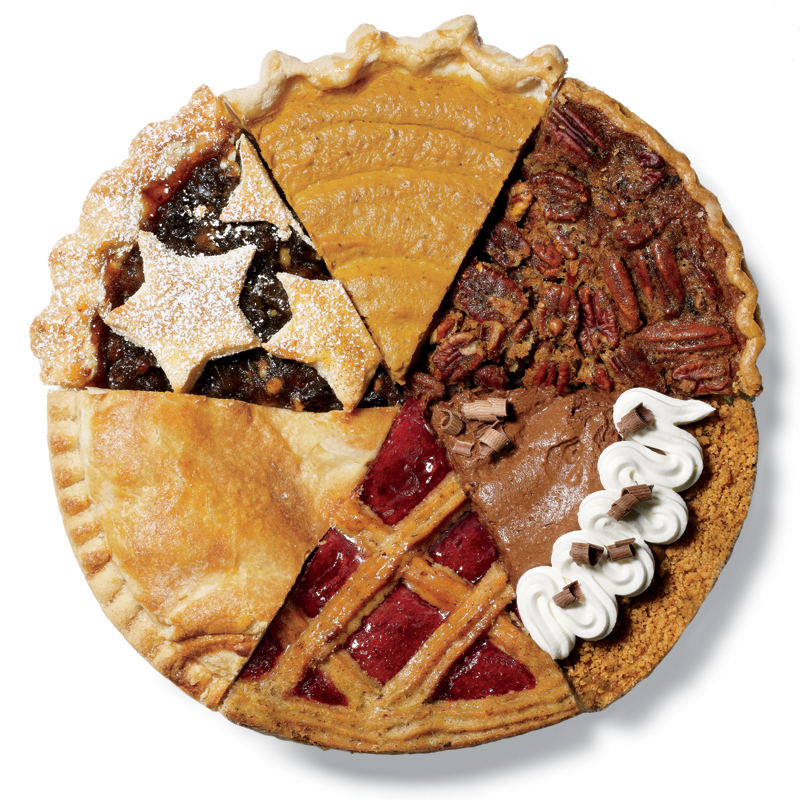 The CCHS has joined the Aviston Elementary School Annual Pie Sales fundraiser again this year. CCHS volunteers will be taking orders for apple cinnamon silk, salted caramel chocolate, classic apple, candy cane, cherry streusel, cookies and cream, French silk, fruit medley deep dish, lemon meringue, peanut butter cup, pecan and pumpkin pies, as well as chocolate java cake and turtle cheesecake. Orders are due by Saturday, Nov 2, and will arrive for pick up Wednesday, Nov 13. Contact a CCHS volunteer or call 526-4500 to order yours. CCHS receives portion of the profit. CCHS has wonderful pets available including cat Amelia, gray/wt; and kittens Pippy, gray; Pooter and Mosley, gray/wt; Petunia, buff/white; Sand new kittens Jordan and Sam, orange/white; Mura, Calico/wt; Maris, Siamese mix. Most of the cats reside at the CCHS building at 1301 Apple Lane where folks can visit them daily from 10 a.m. until 2 p.m. and weekdays from 5:30 p.m. until 7:30 p.m. Available dogs include Muff, Yorkie/Terrier; Flash, Staffie mix; Charley, Black Lab; Harley, Black Lab mix; Frank, Australian Shepherd mix; Chato, Rottweiller; Willow and puppies Aspen, Ash-Lee, Birch, Oak-Lee, Pecan, Cypress, Staffie mixes. Dogs are fostered with families and can be visited by appointment or at the next Meet and Greet Saturday, Nov 2, from 10 a.m. until noon. CCHS pets are vet checked, up to date on shots, spayed/neutered and micro-chipped. If you are interested in adopting, fill out an application online at http://www.ccilhs.org or pick one up at the building. You can call 526-4500 or email ccilhs@ccilhs.org for information or an appointment. You can check out our pets on www.petfinder.com or www.adoptapet.com. Chato, 2-year-old Rottweiler, is housebroken and crate-trained, though he is not crazy about being in a crate unless he is going for a ride. He needs an owner with a firm, but kind hand. He doesn’t trust everyone at first, so a slow approach is best for him. He needs training and work with kids and small animals. He has a strong prey drive, so daily exercise will help him greatly. Chato is vet checked, up-to-date on shots, neutered and micro-chipped.